With about 100 snack vending machines on campus, UCLA has no shortage of options to satisfy your craving — some more nutritional than others. But what if there were snacks that were better for you? And what if they were clearly identified as healthier alternatives? Would you choose them? Joe Viana thinks you might. 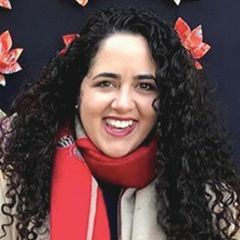 A doctoral student at the UCLA Fielding School of Public Health, Viana recently concluded a study on whether people at UCLA would pick items like trail mix, nuts and air-popped snacks — if those healthier products were better promoted — or continue buying potato chips, cookies and candy bars. He found not only that consumers are interested in having healthier items available in vending machines, but that offering them did not hurt the vending machines’ sales. 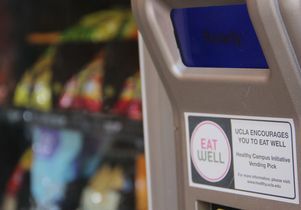 The study, believed to be the first of its kind on an American college campus, was initiated by UCLA’s Healthy Campus Initiative — a program launched in 2013 to promote a culture of mental and physical health and wellness — and was conducted in collaboration with UCLA Dining Services and UCLA Vending Services. “What we aimed to do was methodologically identify healthier products and encourage customers to choose them, all without compromising the machines’ financial performance,” Viana said. In 2013, 35 of UCLA’s 100 snack vending machines were stocked with either one or two rows of healthier options. Each machine was marked with a Healthy Campus Initiative sticker, and stickers in front of each row of healthy snacks identified the wholesome options. The other snack machines contained some healthier snacks, but fewer than the HCI-marked machines, and all of the machines continued to carry the traditional snack options. “The idea is not to tell people what they can and can’t eat, but rather give them the option to choose,” said Michael Goldstein, associate vice provost for the Healthy Campus Initiative. To qualify as a healthy snack, an item had to contain less than 250 calories with fat calories making up less than 35 percent of the total, and a maximum of 10 percent of those calories could come from saturated fat. Sugar could only be no higher than 35 percent by weight, and sodium content was limited to 360 milligrams. In addition, all approved items had to be trans-fat free. Certain items that didn’t make the initial cut were later approved as healthy snacks by UCLA nutritionists, while other snacks that met initial criteria were removed. To create another subtle incentive for Bruins to make healthier choices, prices on some of the less-healthy snacks were raised — some to $1.25 from $1, Viana said. 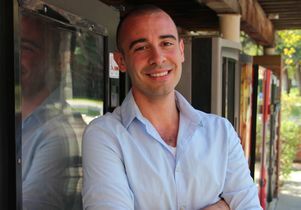 During the two months he analyzed, revenues from the 100 machines were unchanged from the same period in 2012. In addition to collecting sales data, the study surveyed 100 people who bought items from both types of vending machines last October and November. Thirty-five percent bought HCI items at the HCI marked machines, compared with 13 percent who went to the unmarked vending machines, Viana said. And, of those who approached either type of machine without the intention of buying a specific item, roughly two-thirds purchased a healthier option. Of those who approached one of the HCI-branded machines without the intent to buy a specific item, 50 percent spent their money on an HCI pick. For those buying from the unmarked machines, 10 percent opted for an HCI-approved product. "The intervention improved the likelihood of purchasing something that we consider healthier," Viana said. Many respondents even said they would like to see more healthy snacks in campus machines. The HCI nutrition steering committee plans to continue monitoring campus vending sales and working with UCLA Vending Services to offer products that appeal to the campus community. 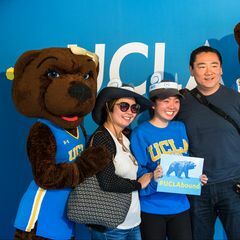 The committee also plans to share Viana’s study results with other UC campuses and Pac-12 Conference universities, as well as the Partnership for Healthy America and the Los Angeles Department of Public Health. 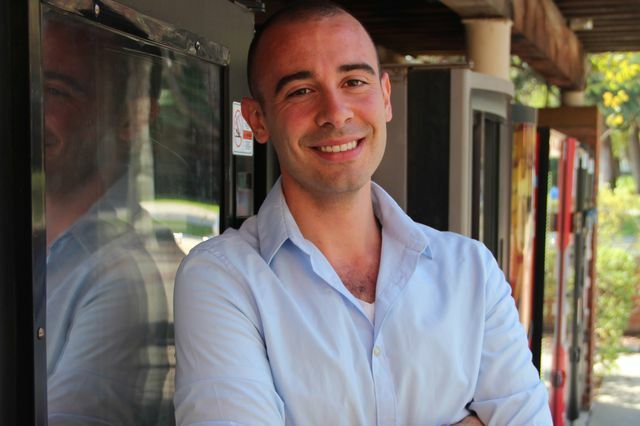 Beyond UCLA, public interest in the politics of vending machines is growing, too, Viana noted. Legislators have introduced stricter nutritional standards for school vending machines, and many school districts have banned junk food. 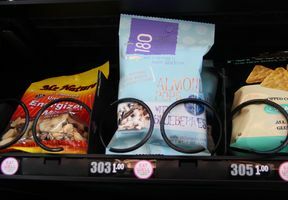 Starting this year, snacks in roughly 5 million U.S. vending machines will include calorie information to comply with new guidelines in the Affordable Care Act.